Nepal is famous destination in Asia for Himalayan trekking . Nepal trekking permit required for Trekking in Nepal Himalaya. Nepal has various trekking destination and almost trekking areas required trekking permit. we have two type of trekking destination : Regular / normal trekking route , Restricted trekking trails and both Nepal trekking permit issue through Nepal government trekking agency. ACAP permit ( Annapurna conservation area project permit) for Annapurna trekking , Sagarmatha National park permit for Everest trekking , Langtang National park permit for Langtang trekking & TIMS permit ( Trekkers Information management system) necessary for all regular trekking trail of Nepal. Upper Mustang permit, Mustang trekking permit, Manalsu trekking permit, Dolpo trekking permit, Kanchenjunga trekking permit special trekking permit through fully legal government registered Nepal trekking company under the Nepal immigration with your original passport along the Nepal visa. All trekkers require a trekking permit to visit Nepal interior regions, which are not connected by highways. Recently the Annapurna, Langtang and Everest regionshave been declared “permit free" areas; but National Park or Conservation Area feesare still applicable. 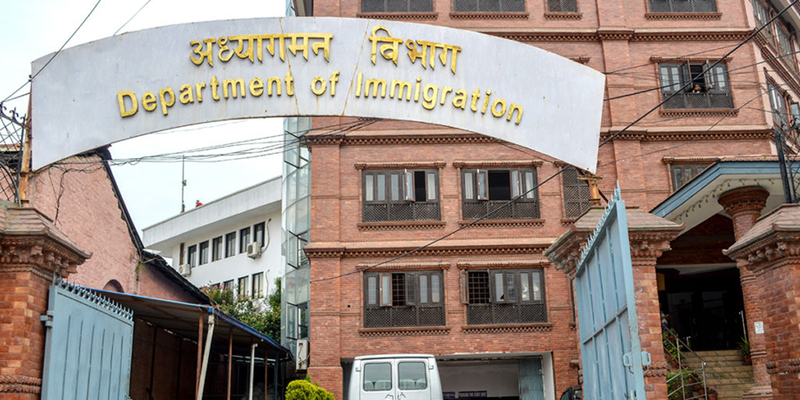 We process the All Nepal trekking permit and national park entrances at immigration offices from Himalaya journey Trekking office in Kathmandu . A trekking permit is a must to visit restricted areas mentioned below. To visit normal trekking areas no permission is required restricted areas which have been opened for Group Trekking. 1. Areas of lower Dolpa For the first 4 weeks per week per person US$ 10 and after 4 weeks per week per person US$ 20. 2.Taplejung District (Kanchenjanga Region):-Areas of Olangchunggola, Lelep, Papung and Yamphudin Village Development Committee. Solukhumbu District (Everest Region):-All north-west area way from Thame to Nangpala of Namche Village Development Committee. 4.Manang District:- Areas of Nar, Phu, and Northern area of Tilche Village of Thochhe Village Development Committee For September to November per week per person US$ 90 and December to August per week per person US$ 75. 5.Mugu District:- Areas of Mugu, Dolpu, Pulu and Bhangri. For the first 7 days per person US $90 and After 7 days per day per person Us$15. 6.Bajhang District:-Areas of Kanda, Saipal, Dhuli. For the first 7 days per person US $90 and After 7 days per day per person Us$15. 7.Darchula District:- Areas of Byas Village Development Committee. For the first 7 days per person US $90 and After 7 days per day per person Us$15. 8.Upper Mustang and Upper Dolpa District:- For the first 10 days per person US $500 and After 10 days per day per person Us$70. 9.Gorkha District (Manaslu Area):- For September to November per week per person US$ 90 and December to August per week per person US$ 75. Note : To get a group trekking permit an application form with other relevant documents should be submitted through any registered trekking agency of Nepal.